The Goldsmith Prize faltered a bit in the beginning but it is starting to unearth spectacularly interesting books, I think. It’s always a question of who’s on the judging panel, as I suppose is inevitable. There are always a few interesting titles, relative to other English language prizes which have run stale. I first read Will Eaves when The Absent Therapist was shortlisted in 2014 and have since read most of his work. I find now that if a shortlist contains one or two titles I might not have otherwise encountered it’s a good one! I’m always drawn to fictional retellings of real life events and this does sound really intriguing. By creating a character who mirrors but is not explicitly Turing, Eaves has the freedom to imagine the situation from the inside out. A powerful and unexpected approach. Really fascinating. I’ll check this one out. Thanks for bringing it to my attention! 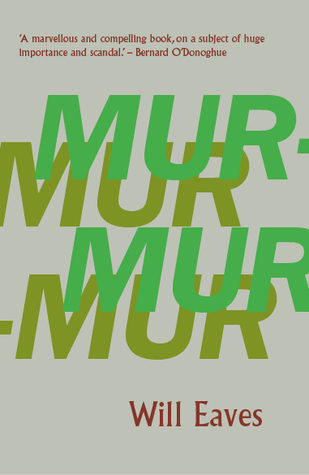 A great review, which I will return to when I’ve read Murmurs – I picked up a copy after listening to Eaves talk about it in Edinburgh. I’ve only read his early novel This is Paradise, but I loved it. This Is Paradise is a wonderful novel. Eaves is an author who deserves broader recognition. I’m so glad to see that Murmur is getting a North American release.